​to aid in stabilizing and preserving objects in collections of museums, historical and cultural organizations in New York State. The Robert David Lion Gardiner Foundation has provided additional dedicated support for conservation treatment projects in Nassau and Suffolk Counties. ​The 2019 NYSCA/GHHN CTG Grant Portal will open on March 1, 2019. The application deadline is June 3, 2019 at 11:59 PM. Applications will be accepted from nonprofit organizations, museums, historical organizations or other cultural institutions either incorporated in or registered to do business in New York State, that own, care for and exhibit collections to the public. Please be aware proof of non-profit status may be requested. Federal and municipal museums and historic sites who are interested in applying must contact the Conservation Treatment Grant administrator well in advance of the deadline to discuss eligibility. Collections owned by state agencies and religious institutions are ineligible for grant support. Grant awards will be made to institutions lacking in-house conservation staff with expertise in the area for which support is requested. Organizations may submit only one request, which may involve a single object or a group of related objects, all owned by the applicant institution. Objects that interpret the history/heritage of New York State are strongly encouraged for conservation. The Robert David Lion Gardiner Foundation has provided additional dedicated support for conservation treatment projects in Nassau and Suffolk Counties. Eligible institutions of all sizes are welcome to request support from this state-wide program; those with small budgets are encouraged to apply. Priority consideration will be given to applicants who have not yet received three consecutive treatment grants. If granted, funds from this program shall adhere to New York State Education Law Section 3.27, Rules of the Board of Regents regardless of whether the applicant is a museum or not. Support is available for conservation treatment of paintings, works on paper (including individual drawings, watercolors, prints or photographs), textiles (including costumes, domestic textiles and upholstery), furniture, frames, sculpture, historical, ethnographic and decorative objects. Frames are an integral part of a painting and applicants must address frame condition and treatment when applying for painting conservation. Support is also available for treatment costs for supports, stands and mounts that are integral to the treatment of the object. Grants will support in-state transportation costs for the objects and/or the conservators, and the cost of insurance for the work(s) to be treated. Requests for treatment of outdoor sculpture must include the description of an on-going maintenance program already in existence, or one to be implemented, at your institution. An engineer's report may be required for some sculptures. Grants will not support staff salaries. Grants will not support out-of-state transportation, or the cost of obtaining the treatment estimate for this proposal. Grants will not support conservation of archival collections. Funds are not available for preventive care, such as rehousing or reformatting of objects, purchase of storage furniture, monitoring or upgrading of environmental systems. Please contact GHHN should you have eligibility questions. Applications will be reviewed competitively by a panel of conservation, curatorial, and museum professionals. Individual grant awards will not exceed $7,500. No match required. A total of approximately $106,675 is available in 2019. Award recipients will be announced in early September. Funded conservation work must be completed within one year of the grant award date. Should there be an unanticipated change in conservator, cost, scope of work or treatment, you MUST contact GHHN before proceeding. NYSCA/GHHN Conservation Treatment Grant Awardees have a requirement to prepare a final report on the conservation paid for with your grant. Please note, our Final Report Requirements have changed. If you are applying for the 2019 NYSCA/GHHN Conservation Treatment Grant Program, and you received a 2018 NYSCA/GHHN Conservation Treatment Grant, your 2018 Final Report must be received no later than June 3, 2019. 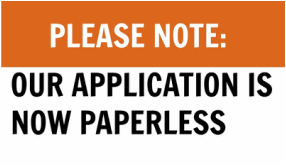 Our Final Report process is now paperless as well. Please click here to read the NEW Final Report Requirements. Greater Hudson cannot recommend specific conservators for your project; however, we encourage you to read About Selecting a Conservator, as the strength of the application will be based upon the proposed conservation treatment. You are also encouraged to contact us by phone at 914.592.6726 or by e-mail at director@greaterhudson.org for further assistance, resources, and application clarification. Extensive information on collections conservation and preservation, help in locating appropriate conservators, and assistance in obtaining conservation treatment estimates is available through the American Institute for Conservation of Historic and Artistic Works. Click below to see the presentation from our recent Grant Info Sessions. ​The Robert David Lion Gardiner Foundation has provided additional dedicated support for conservation treatment projects in Nassau and Suffolk Counties.